A Rosetta Stone for understanding Donald Trump's style, mindset, and every action, made up of over one hundred interviews with his closest associates over the last 15 years. To his critics, Donald Trump is an impulsive, undisciplined crackpot who accidentally lucked into the presidency. But in The Method to the Madness, reporters Allen Salkin and Aaron Short reveal that nothing could be further from the truth. This objective, nonpartisan oral history shows that Trump had carefully planned his bid for the presidency since he launched what many considered to be a joke candidacy in 1999. Between 2000 and 2015, when he announced his candidacy in the lobby of Trump Tower, he was able to identify an unserved political constituency, hone a persuasive message that appealed to their needs, and deliver it effectively, despite intense media opposition. Through candid conversations with more than 100 subjects close to the President, Salkin and Short make the case that Donald Trump’s ostensibly erratic approach to politics is consistent with his carefully honed personal and professional style of information gathering, opinion seed-planting, and conclusion sharing. His business, media, and political dealings from this era serve as a guide for understanding the man, his mindset, and his every action. 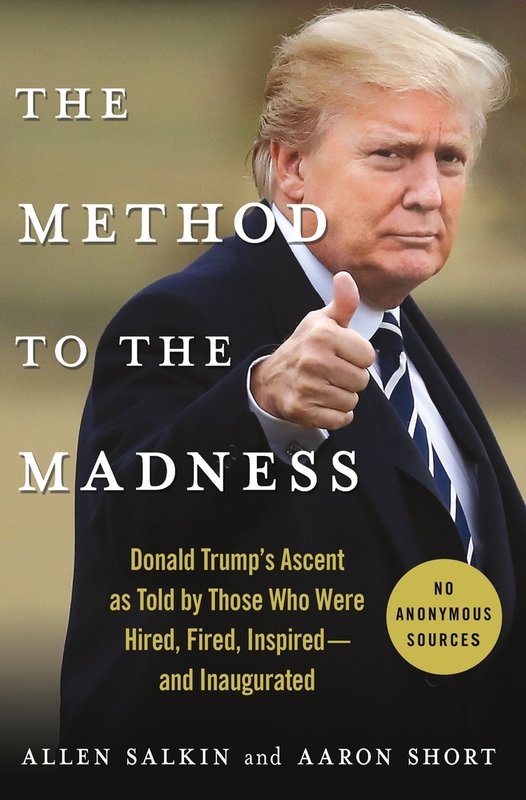 The Method to the Madness is an accessible and unbiased oral history that brings readers into the private rooms where decisions are made, confidences are broken, strong words fly, and not all eye-witnesses see the same scene in quite the same way. ALLEN SALKIN has reported on media, business and culture for Vanity Fair, the New York Post, and the New York Times. New York Post journalist AARON SHORT has reported on Donald Trump's political aspirations for over a decade.